Discraft Zone. Works great for short flicks when you don’t have a lot of room for follow through. They are flat, so there’s not a lot of glide. Decent distance for little forehand rollers when you’re all jammed up in the brush. Prodigy 400 A2, beefy and reliable, for me at least. For sure it’s the Justice for me. Backhand, forehand, thumber or tommy this disc does what it is supposed to do every time. I use a Drone and Predator from Discraft for my super OS utility discs. Zone for my gadget upshots. 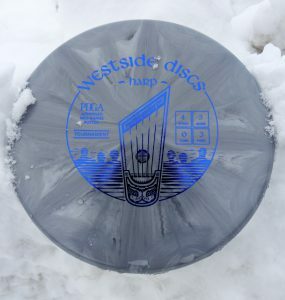 Westside Harp is what I go to to get out of sticky situations. The harp is a great work horse!!! Westside harp for sure. Great for anythimg and everything, deffinetly my “ohh snap” disc. Discraft Hornet is a great utility disc! I love my Harp! It’s great for so many shots and magically finds the chains from long-range a ton! I bag two of the discs listed above. The Gator and Justice. I love the Gator for that controlled sidearm approach shot where I need a moderate hyzer finish. The Justice is more for those shots where I need to come in on a hard hyzer, and especially for working the sidearm flick around a tree, knowing it will hyzer back. 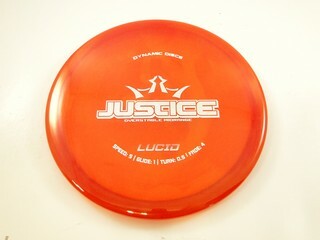 The one disc that sits in my bag next to the Justice and Gator, but isn’t listed above, is the Westside ANVIL. THIS is my GO TO disc. It has more glide than the Justice, but has that same extremely overstable flight path. I reach for the Anvil on almost every approach shot inside of 150-175′. It is the ONE disc I can’t do without. 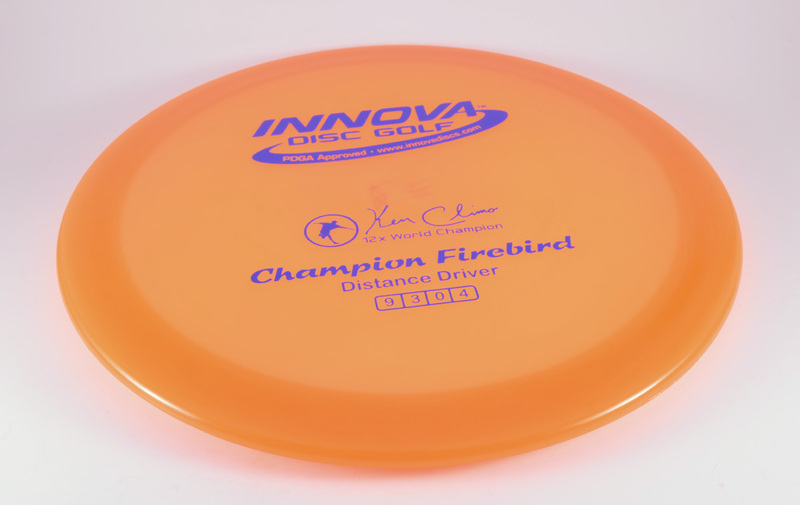 It has to be the Champ Firebird for me (170g). Suuuuuper nice for forehand and backhand shots when I’m in deep trouble. Can’t play a round without it. I like my glow champion gator. Bought it over 5 years ago and is still my most overstable disc.